Rely on OSI’s make-it-happen mentality to successfully speed your menu and meal innovations to market. 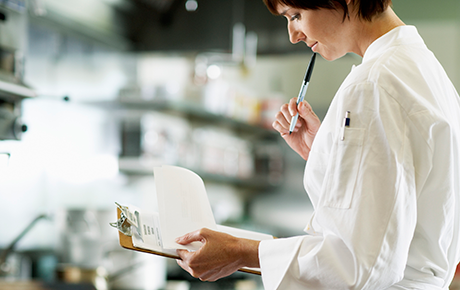 In addition to culinary innovation and R&D centers in the U.S., Germany and China, we operate test kitchens in all of our major plants, with R&D specialists on staff in every production facility. Innovation doesn’t stop in the “kitchen.” OSI’s customers know that adding value throughout the supply chain is our core capability. We don’t let our current processing, packaging and logistics systems limit our ability to develop unique, end-to-end solutions for your market challenges. From pie-in-the-sky to pizza in the pan, our global product research and development teams take our customers from blue sky ideas to finished products developed and formulated for market place success. We can develop exactly what you’ve got in mind, or you can take advantage of our network of creative resources that can bring you practical, on-trend ideas from around the world. We know that in today’s market, every day counts. We’ve got the skills, experience and know-how it takes to help you take advantage of opportunities, and go quickly and successfully from idea to market place.